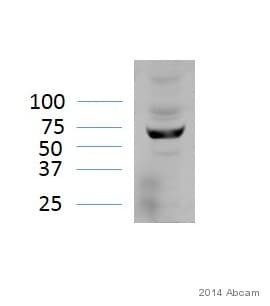 Phone call reporting problems in using anti-IRF5 antibody [10T1] (ab33478) in western blotting. As we discussed on the phone, I have attachedour questionnaire so that we can gather further information regarding the samples tested and the protocol used.This information will also allow us to investigate this case internally and initiate additional testing where necessary. As discussed over the phone, I have arranged for a replacement vial of ab33478 to be sent out to you. This should reach you tomorrow or Friday. The order number is xxxxxx (Purchase order number FOCR xxxxx). If you do not find that your results improve with this new lot please do let me know. I have a few questions about your anti-IRF5 antibody, cat.#:ab33478. Q1: what is the suggested concentration for detection of IRF5 in human dendritic cells? Q2: In the web site, the band shown in lane 2 is the endogenous IRF5 or inducible IRF5 in THP-1 cells? If it is inducible, what is the inducer and the concentration? 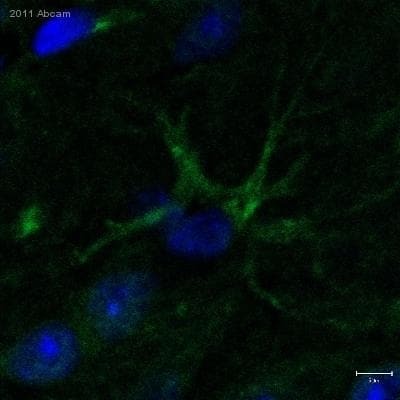 Q3: Is ab6728 is the cat.# for HRP antibody used to show the IRF5 band? Q4: Dose milk or BSA used in blocking buffer make any differences in showing IFR5 expression? I would greatly appreciate your promptly response. Thank you for your interest in our product, anti-IRF5 antibody(ab33478). I now have some more details which should answer your questions. 1. The anti-IRF5 Antibody (ab33478) was used at 1:1,000 dilution, and 30~50mg protein of cell lysates was used for detection in western blotting. 2. Bands shown in the data sheet are endogenous IRF5, they are not inducible protein. 3. A commercialised secondary antibody, goat anti-mouse Ig-HRP conjugated was used. This was not ab6728. 4. You can get same results for milk or BSA as blocking solution, So you may use anything. I hope that theses answers are helpful for you and please contact me again if you have any other questions. With thanks.